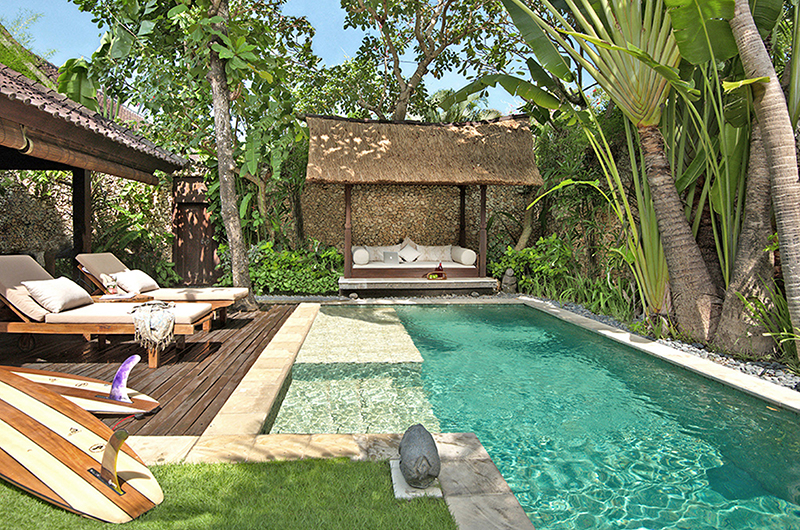 A romantic villa offering blissful privacy and Balinese design just moments from the action. Villa Kubu 10 is a charming 1-bedroom villa (sleeps 2) close to Seminyak’s trendy galleries, boutiques and restaurants, packed with features that will help your holiday dreams come true. From the beautiful tropical gardens and waterfall to the spacious living/dining area, from the private pool to the Jacuzzi bathtub, this impeccably decorated villa with its Kilim carpets and South Sea antiques, is ideal for a romantic getaway for two. Close the living room doors and relax in air-conditioned comfort, or open them out for a fresh-air tropical living experience. Sit in the garden by the private pool and read or chat with friends in the garden to the soundtrack of the falling water. During the day, escape the heat by taking a plunge in the calm, blue pool or sit in the garden bale and read a book. Entertain indoors or have a relaxed candlelit supper under the stars. After a day of sightseeing or swimming, relax amongst the bubbles of the Jacuzzi and then retire to the crisp linens of the comfortable four-poster bed. 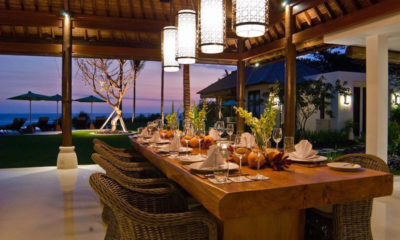 Villa Sayang is a relaxed tropical villa offering a central location in sought-after Seminyak. A sprawling luxury estate with a 35-metre pool, projector screen and ample space for events. 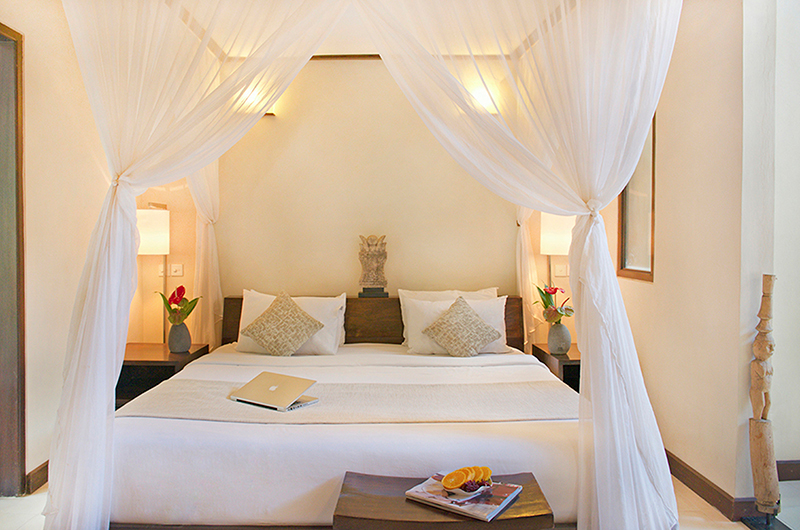 A luxurious mix of rich Indonesian design, sweeping island views and five star service. 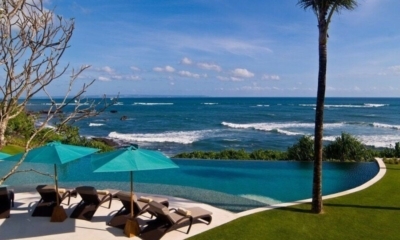 A glorious oceanfront estate with epic views, vast lawns and palatial space for large groups.